Product of the Day – Vegas Baby! 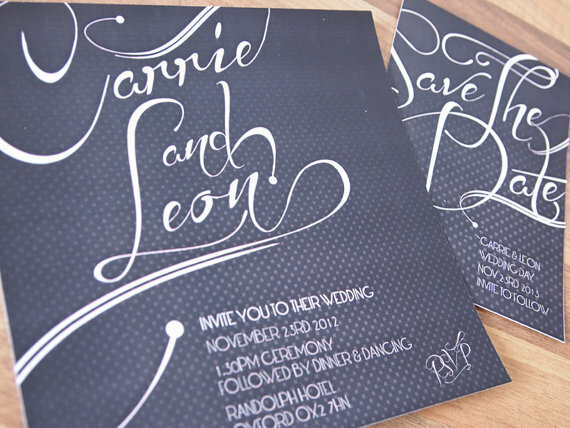 Wedding Stationery – DIY or Buy? Which is Right For You? 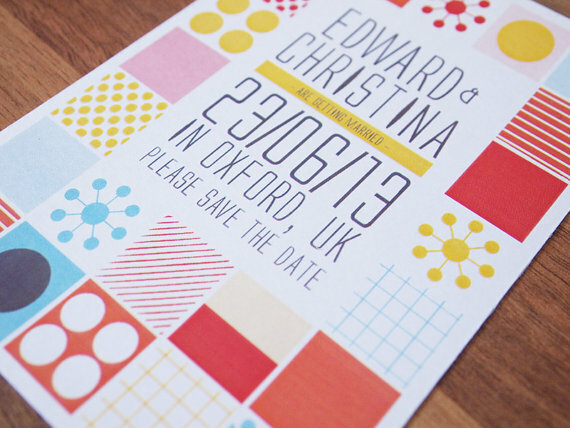 Product of the Week – Striking Stationery! My last ready-to-go-range is the ultra glam Black Tie design. You can buy them as printed items, where I will buy the print for you using my years of print buying experience. 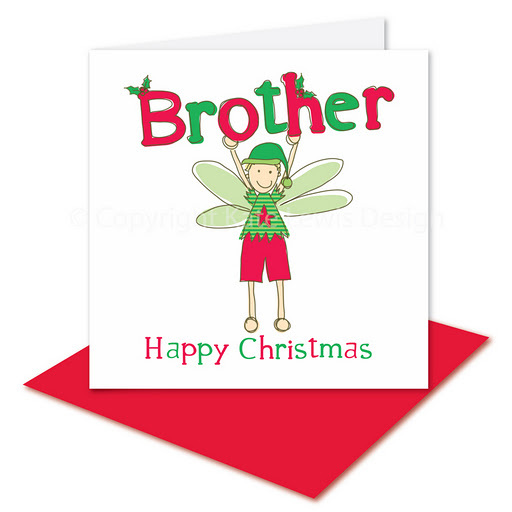 Or you can have them as printable PDF files that you can either print yourself or take to a printers near you. Tie the knot in real style with this elegant design. Featuring opulent calligraphy this calls to mind the heyday of Hollywood glamour and would work well if you are planning a winter wedding. The black ground is softened with texture that adds interest and the vintage feel is extended into the text with a font inspired by 1920s Art Deco. However the chic look is equally at home in a modern setting with the double lines and end points of the expressive calligraphy adding real distinction. 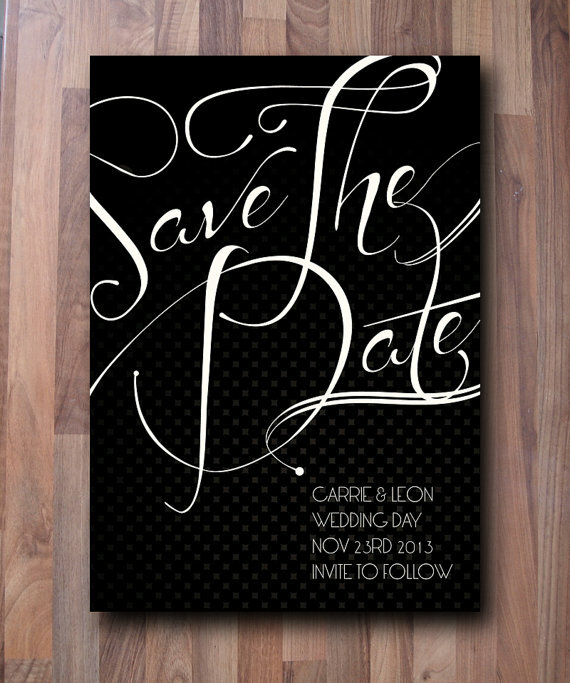 The save the date card is your first chance to show your guests the kind of day you have planned and with the stylish flourishes on this card they can’t mistake your elegant style. 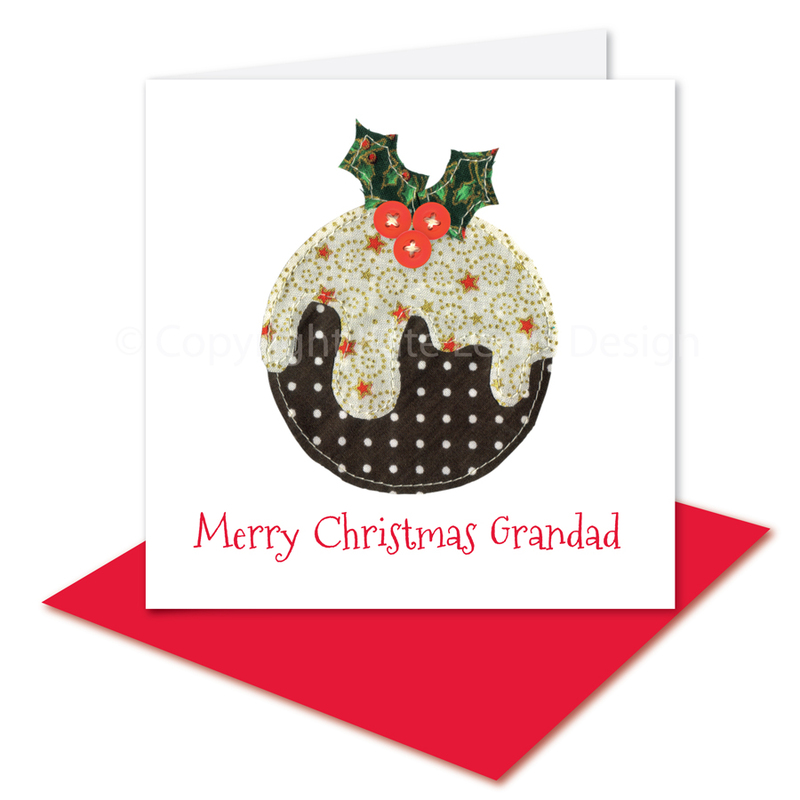 The main text on the A6 card is totally customisable and come with either a matching black back and envelope or with a postcard style back so it can be posted as is. 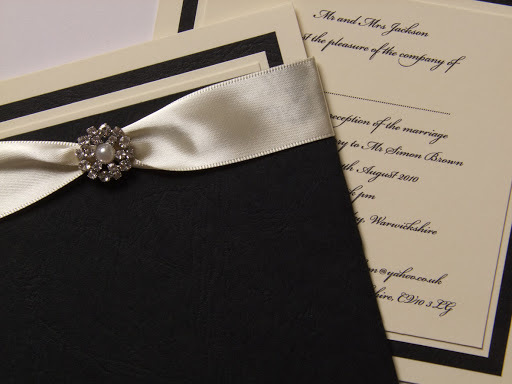 This square invite keeps the elegant tone and includes personalised calligraphy of your names to really add that glamorous touch. You can tailor the text to exactly what you want and I can source matching envelopes to go with them – how about some gold ones to really set of the tone? 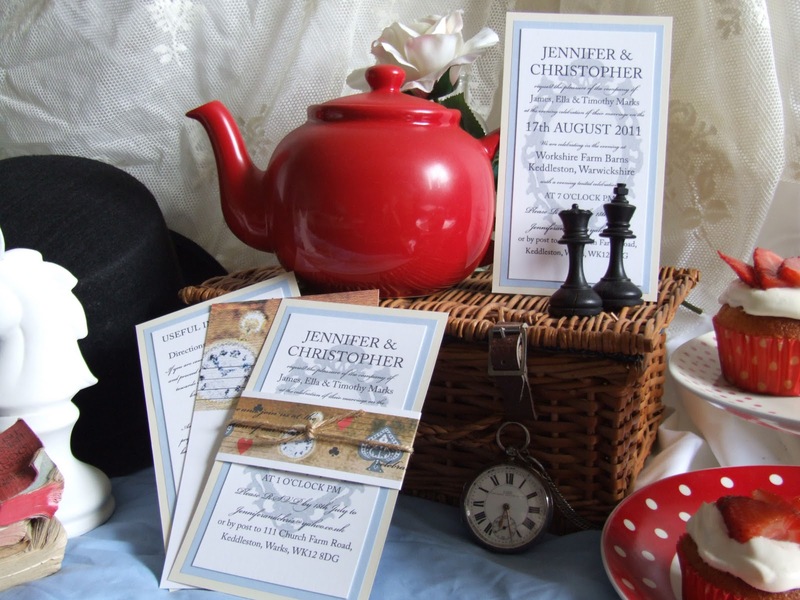 My top tip is to order a few more than you think you need, in case you have some last-minute invitees and you can keep a few as mementos of the day. Subscribe to our posts now and don’t miss out on any of our featured blogs! Today I’d like to introduce the first of my new ready-to-go ranges, these compliment my bespoke wedding design (more on that later in the week) and give you high quality, design-led wedding stationery at great value. You can buy them as printed items, where I will buy the print for you using my years of print buying experience. Or you can have them as printable PDF files that you can either print yourself or take to a printers near you. I have a huge crush on Mid Century Modern styling and love the geometric shapes and simple colour palettes from that era. I’ve taken these as inspiration for this range of ready-to-go invites and saves the dates but bought them up to dates by containing them in a grid layout and combining them with a modern, sophisticated typeface. 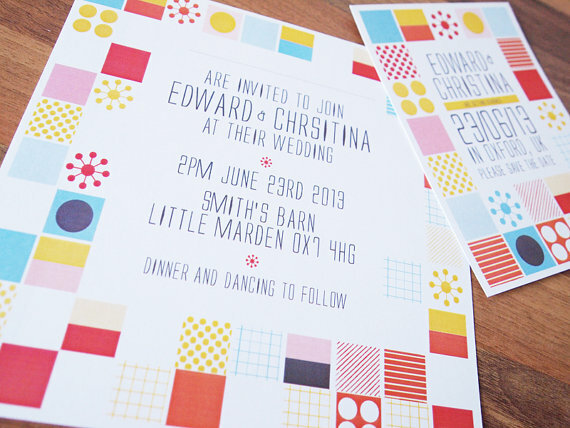 The bright colours would work with a variety of schemes and really set the tone for a fun and funky wedding day. The A6 card is the perfect size for a save the date and is available with matching envelopes of with a postcards style back so it can be sent through the post as it is. All the text information is customisable and I can advise on wording if required. 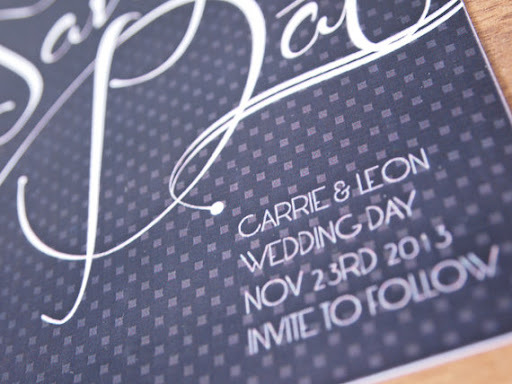 This large 21cm x 21cm card is a really eye-catcher, the pattern is broken up with squares of white to keep the tone light and fun and there is room for information about the day and to write your guests names along the top. I can source a variety of matching envelopes for this invite including coloured, metallic and see through (although this isn’t included in the price). 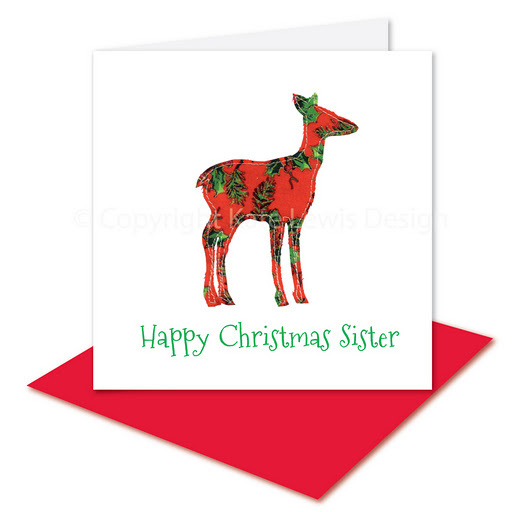 Kate Lewis Design is, unsurprisingly, the creation of me ~ Kate Lewis, a designer & illustrator with a background in fashion and gifts. 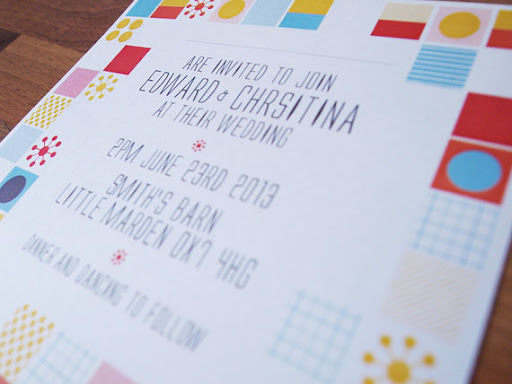 I began in October 2009, making Wedding Stationery that is not only beautiful but also has the diversity to allow you to personalise your big day right from the word go. 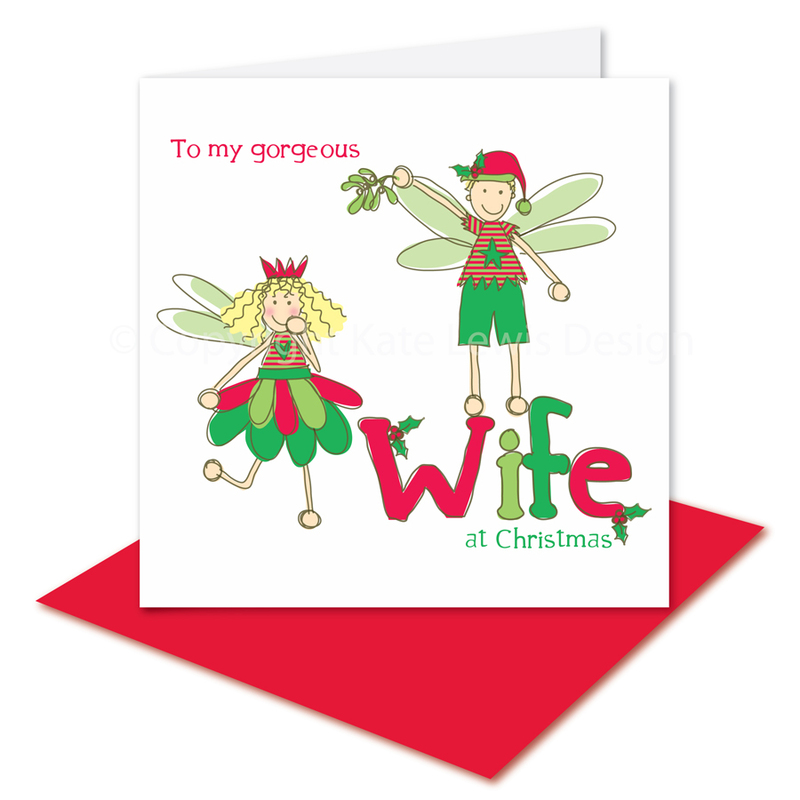 Since 2009 I have seen my business grow and it seemed only natural to take my designs into the big scary world of greeting cards! 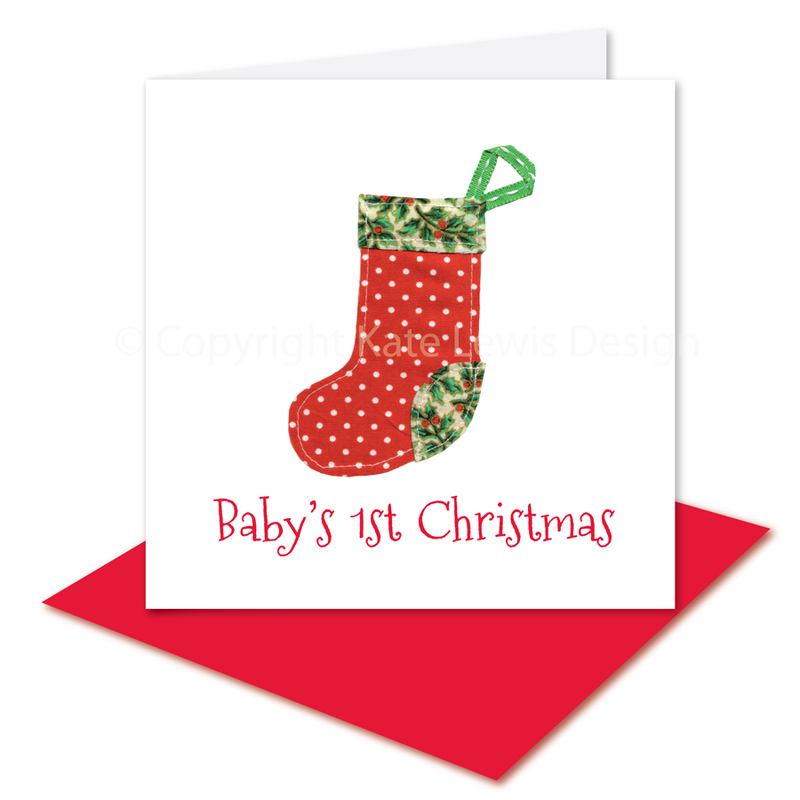 I have been selling my cards locally through a gorgeous gift shop called Mootiful Gifts for over a year, which has been overwhelmingly successful. 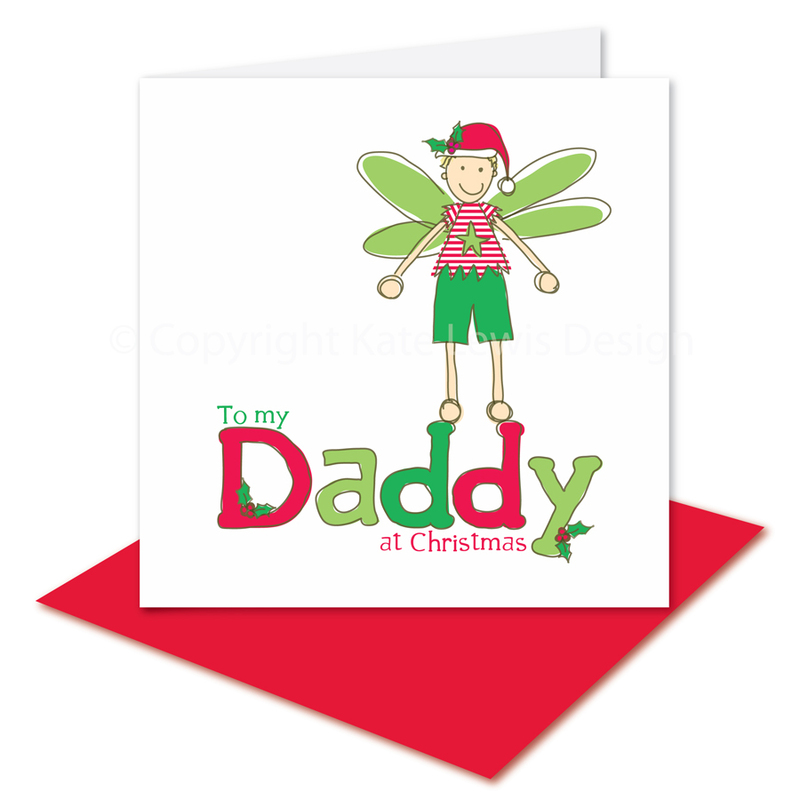 I launched my online shop ~ www.klhandmadecards.co.uk ~ last month which is getting more popular by the day. A very exciting time for me! I am based in Macclesfield, Cheshire, but sell nationwide through my websites. I design & make greeting cards for every occasion, all of which can be personalised and brought to life with the sparkliest glitter! I also sell handmade Christmas decorations which is a great escape from the printers for me! 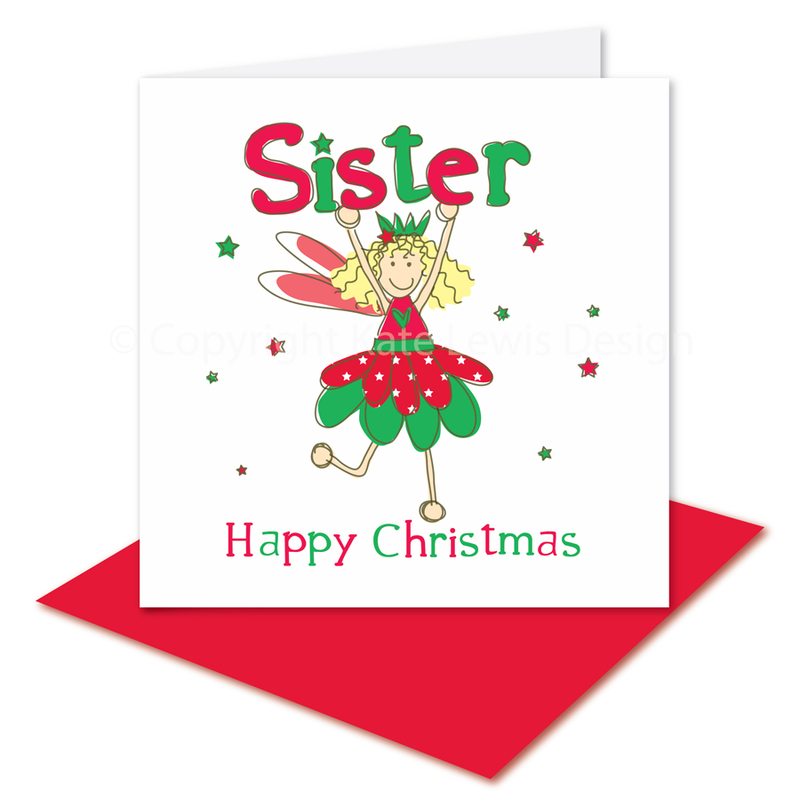 With my background in the gift industry I am itching to expand into gifts but need to get Christmas out of the way first! I have plenty of ideas up my spotty little sleeves, so watch this space! I’m incredibly proud of how much Kate Lewis Design has achieved in just a few years. To have 2 website selling sparkly stationery & cards is more than I could have imagined when I began this journey on my kitchen table! Last year I made it into the top 100 Businesses in the ‘Barclays Trading Places Award 2010’ which was an amazing achievement for me as such a young company. My most recent achievement is from the very fantastic Ice The Cake who presented me with a “Special Recognition” at their recent awards, a fantastic achievement for Kate Lewis Design! 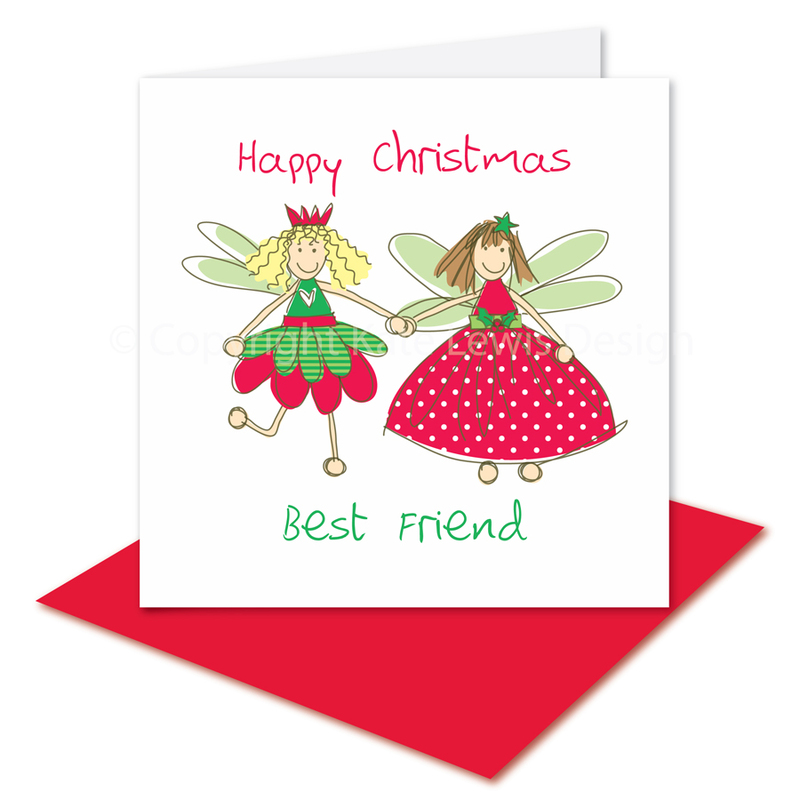 I have over 20 Christmas card designs ranging from the adorably cute Christmassy fairies & elves to the festive fabric appliqué designs from presents to puddings! 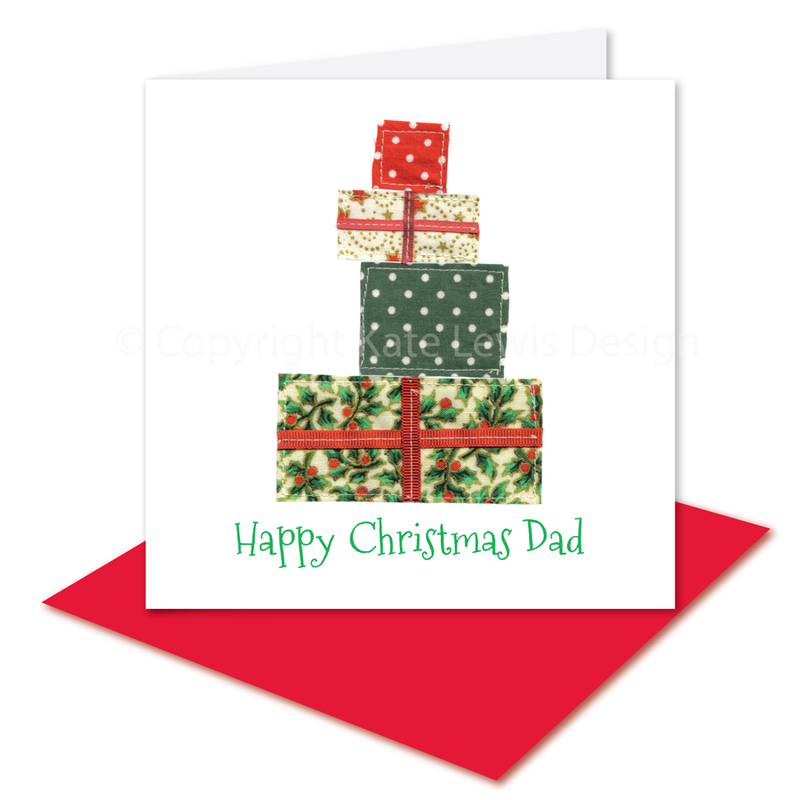 I even have a card that you (or your children!) 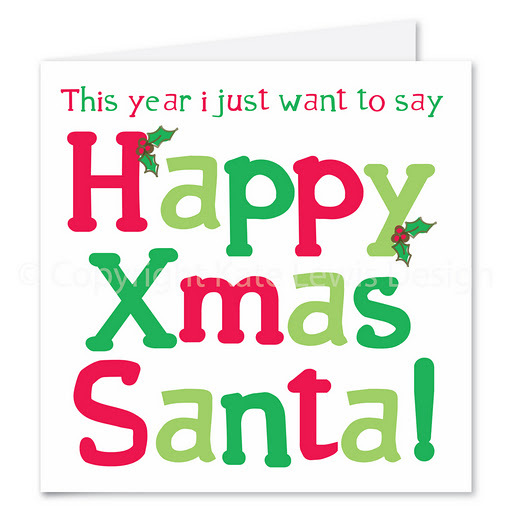 can leave for Santa on Christmas Eve…….well why should he miss out!! I also have handmade decorations ranging from sewn felt stars with sequins, ribbon and buttons to the sparkliest beautiful butterflies! I love EVERYTHING about Christmas! Anyone who knows me can vouch that I am always covered in glitter and this is the one time of year that I actually fit in!! I love the excitement, the glitter, the magic, the food & drink, the tree, the decorations and of course the time spent with family & friends. I’d just like to say a huge thank you to Sue for her continued support! To see Kate’s wonderful work in person pop down to Puss Bank School, Barracks Lane, Macclesfield, Cheshire, SK10 1QJ between 3pm-4.30pm tomorrow (Friday 9th December). 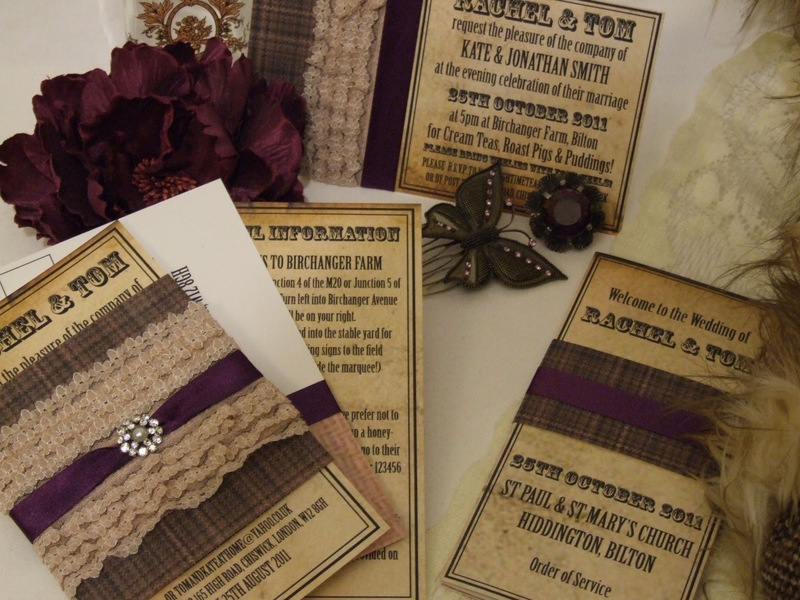 My name is Nikki and I am the owner and designer here at Knots & Kisses Wedding Stationery, making bespoke and vintage inspired wedding stationery for Brides who want something that stands out from the crowd for their wedding! What inspired you to start working for yourself? I gave up work and set up Knots & Kisses in 2009. I’d been wanting to set up my own business for years and use my creativity from my Art background and my degree in fashion illustration, but hadn’t had the guts to do it to be honest! 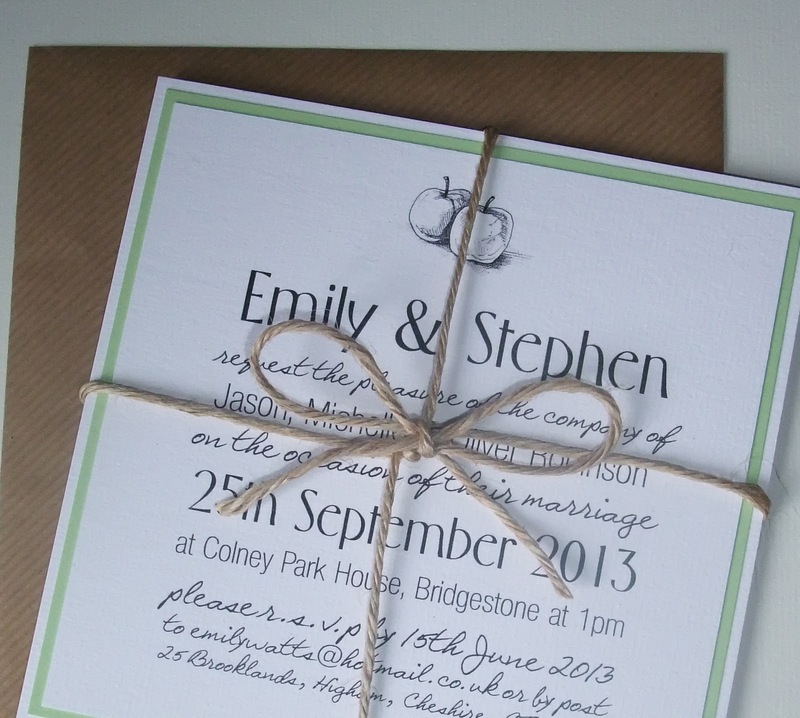 I’d done the wedding stationery for my sister’s wedding and a couple of work colleagues… but the real spur was working on my friends wedding a couple of years ago… it just seemed the right time and I took the plunge and set up Knots & Kisses! Where did the name Knots and Kisses come from? 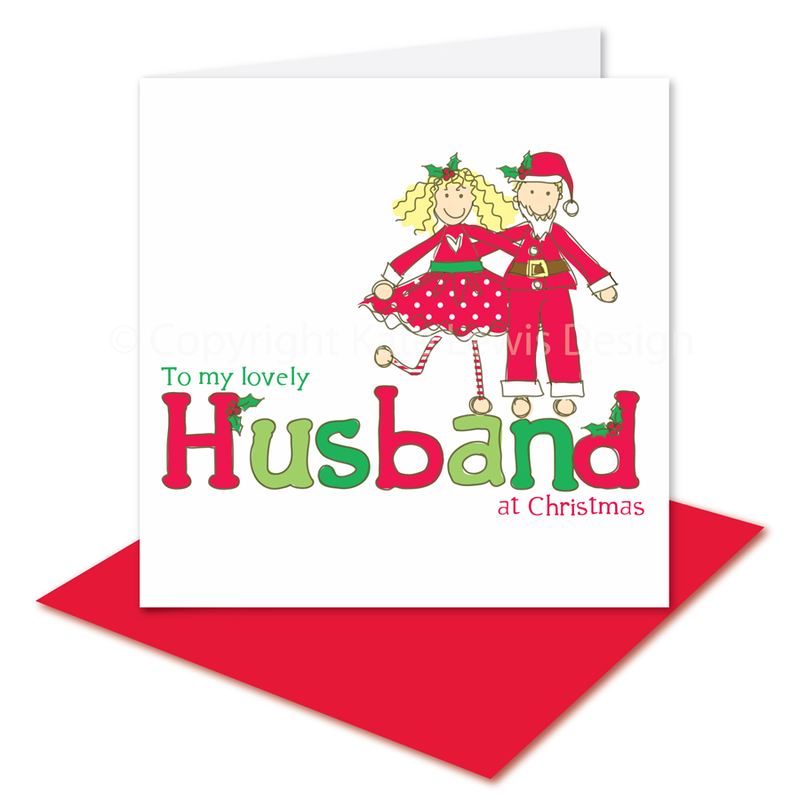 It was actually my fabulous other half who came up with the name! I’d been toying with so many different ideas and couldn’t decide on one and then he suddenly just suggested Knots & Kisses and it seemed totally right! After all weddings are all about tying the knot and hopefully plenty of kisses! 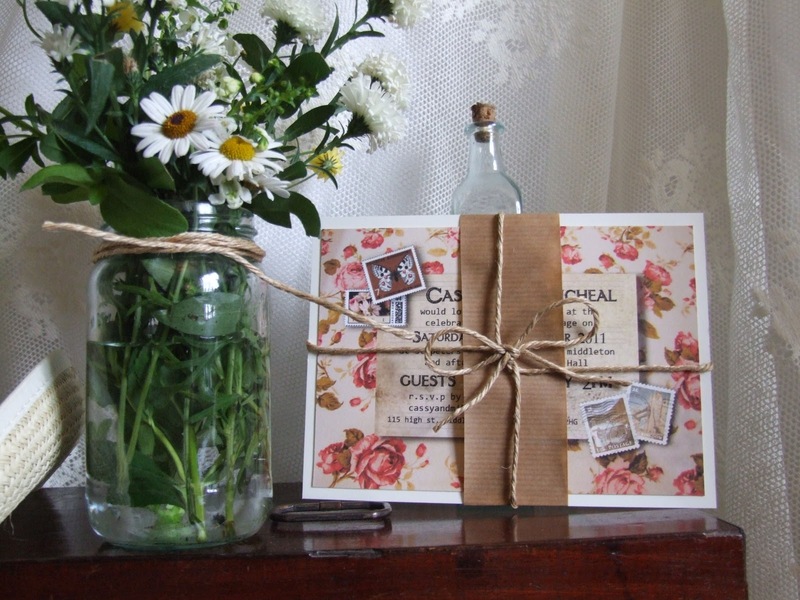 I aim to provide fun and vintage inspired wedding stationery so I find I’m inspired by an eclectic mix of things. I collect scraps of fabric and antique jewellery and clothes which often inspires a design. I also go to lots of museums and read lots of fashion and interiors magazines … I often find trends filter through to the wedding industry quite quickly. I generally come up with designs my sketching ideas out in a notebook first… I always keep my notebook on me as you never know when inspiration will strike! I always have it by the bed as I often wake up in the middle of the night with an idea! I have always been inspired by people in the fashion and film industries since I was a small child. I take great inspiration from the old hollywood movie stars such as Katherine Hepburn, but my childhood heroine was always Vivienne Westwood…. she represents everything that’s great about being English and Eclectic, traditionalist but also with a bit of anarchy! My other dream was to run a bookshop / coffee shop with my other half somewhere… I would bake cakes and serve tea and people could sit for a few hours reading and drinking coffee and watching the world go by! If you could design stationery for anyone in the world who would it be and why? 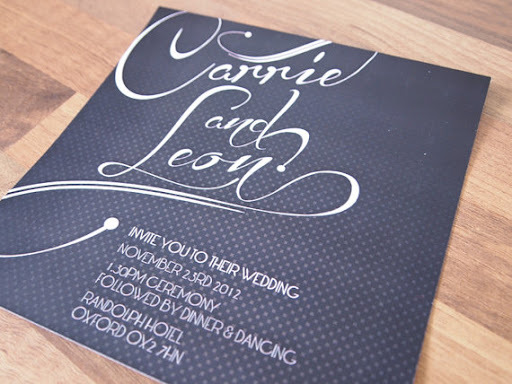 I would have loved to have done Kate Moss’s wedding but if I had free rein I’d love to design a set of stationery for Tim Burton & Helena Bonham Carter… it obviously wouldn’t have to be wedding stationery, but I’d give my eye teeth to design something for them with a bit of gothic glamour! Although I love all things girly and fashion, I’m also a sports nut! My Dad had two daughters so one of us had to watch sport with him! I’m a mad Aston Villa fan, absolutely adore Formula 1 but will pretty much watch anything sports related on the tv!